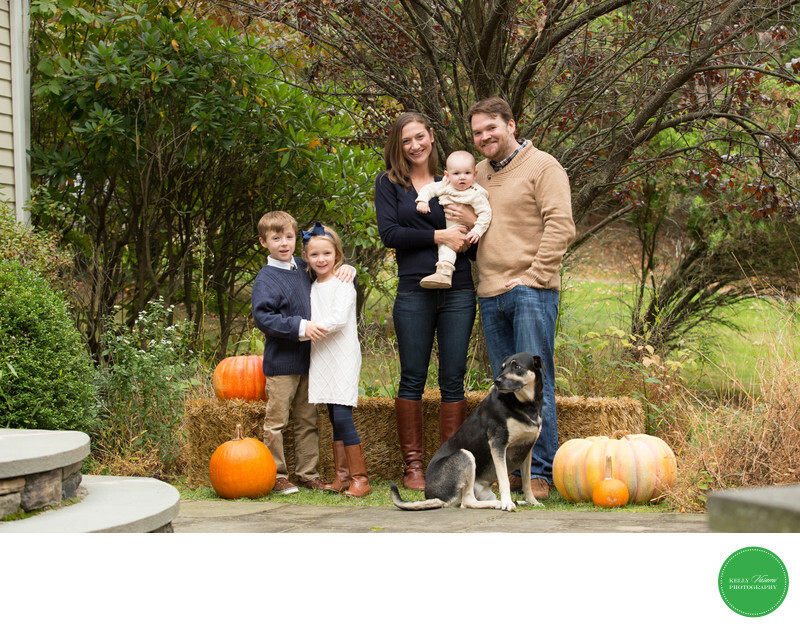 Fall colors, bright orange pumpkins and a happy family of five - no, make that six with the dog - and you've got yourself an awesome family photo. Wearing combinations of denim, brown, navy and ivory sweaters and classic brown boots, this family is ready for catalog photography. The varying styles of greenery in the background creates a great background fit for any magazine.